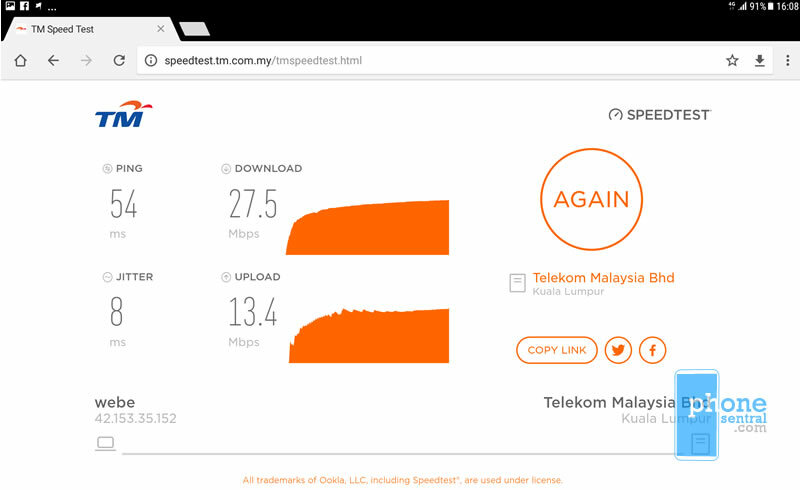 Home Opinion, Reviews & Tips Review: Is Unifi Mobile any good in Kuching, Sarawak? A week ago, I talked about how Unifi Mobile, the rebranded webe, entered into the market. As I said, I got myself a free SIM, driven by the the interesting hybrid plan which allows a number to be active up to 90 days despite a single reload. I obtained the Unifi Mobile SIM last Friday, and promptly tried it out on my Samsung Galaxy S3 Tablet which supports the Band 5 (850Mhz) network Unifi Mobile is using. Since I am based in Kuching, I am likely to use Unifi Mobile in Kuching City where the coverage is good, reaching 4G/LTE as they say. 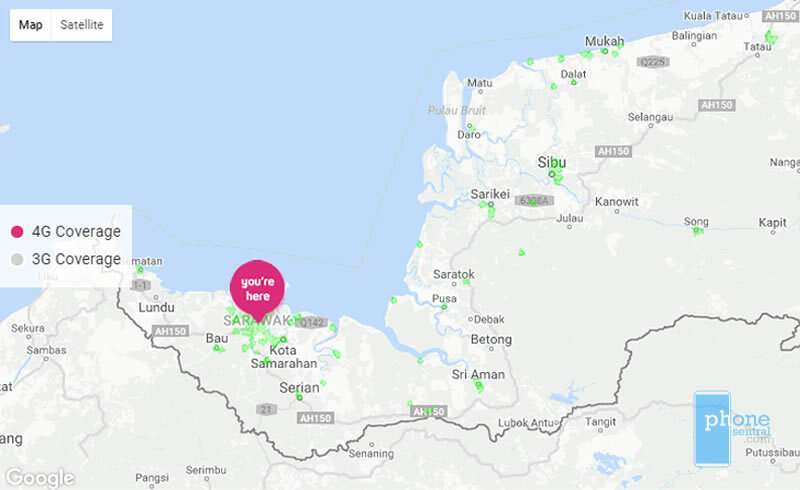 The coverage map below is the coverage of Unifi Mobile in Sarawak overall with 3G connectivity. It’s rather wide and it should be so as they are also riding on Celcom’s network where Unifi Mobile is yet to be available. However, if you check out the 4G/LTE areas below, it becomes patchy for Sarawak, even for a city area like Kuching, but since Unifi Mobile is a re-branded webe, I figure the speeds would be good as many webe customers I know were largely happy with webe. Now, I live in Matang Jaya area, and it is only natural for me to want to use the services of Unifi Mobile in these areas. Based on the coverage map, it is supposed to be well covered with 4G speeds which I show below. Unfortunately, my speed test, done over a couple of dozen times, does not show bragging worth results. This was after I contacted the Unifi support on Facebook, in which they asked me to reset my APN, and also take uout my SIM card, and restart my tablet. 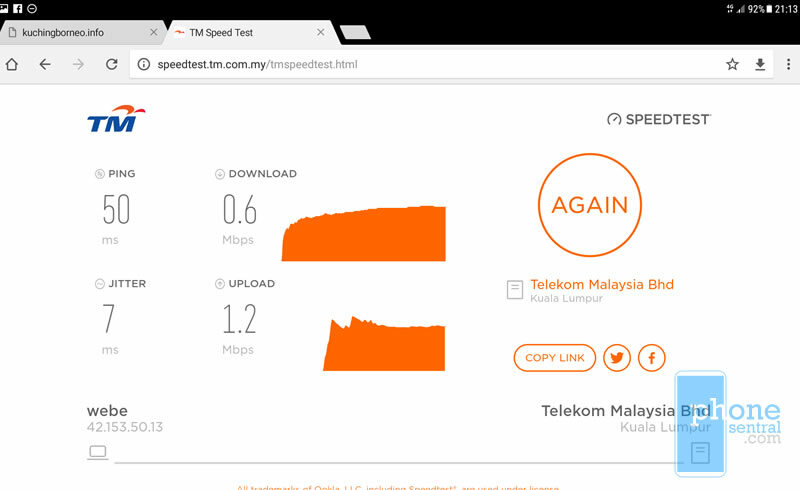 The results below show a speed test done using TM’s own speed test website, with 4G reception at Taman Matang Indah area. 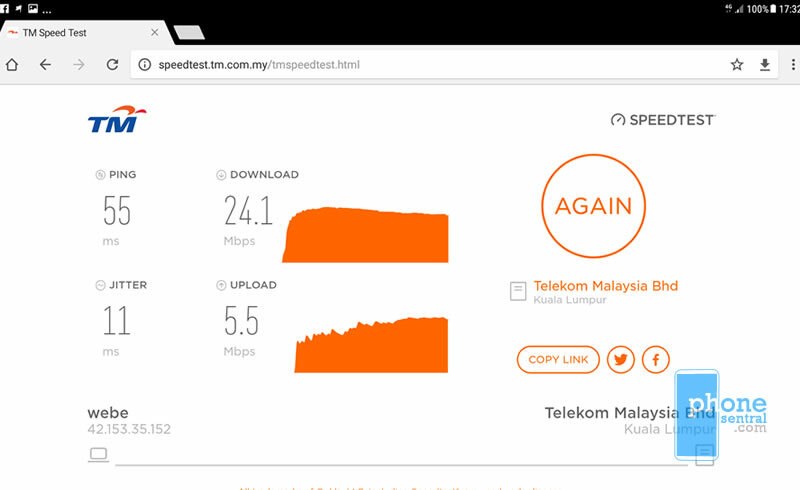 However, when I tried the service at another location nearby a school, which is near the TM tower, the speed bumped up as seen below, which is so much faster. Other areas I had did the speed test are Kubah Ria (recorded 56Mbps), Sarawak Club (22Mbps) and Jalan Padungan (27.5Mbps). In Kampung Duras, Siburan, Unifi Mobile has no coverage, so there’s no point for me to test there. This was unfortunate. I will try other locations around Kuching in coming days, and I will update this post when I have done so, so stay tuned. TM has been very aggressive to promote Unifi Mobile within this week. I’ve noticed they are having plenty of roadshows around Kuching, and the free SIM is a huge plus. However, with the massive marketing, there’s also plenty of complaints that came with it, mostly about internet bandwidth. I think TM is still doing a lot of groundwork, but if they do improve, I think they are here to stay. Next articleNot satisfied with your data mobile plan? Try Yoodo! 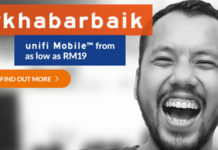 Unifi Mobile Postpaid starts as low as RM19 per month!